Michael Moody is the author of the book Redefine Yourself: The Simple Guide to Happiness and the former fitness expert on NBC's The Biggest Loser/MSN Chicago tour. The owner of a successful Chicago personal training business, his fitness and life-structure programs have helped his clients lose more than 2,500 pounds since 2005. Michael has been featured in Muscle & Fitness and Today's Chicago Woman magazines, among others. During his time as the official trainer for PBS's The Whitney Reynolds Show, he also produced an inspirational segment about his travels in Guatemala. As a certified fitness nutrition specialist in Chicago, Michael truly tailors the comprehensive experience for weight loss results...guaranteed. Like Dr. Fuhrman, Michael's approach leans on natural choices without weight loss supplements. The structure is adaptable, realistic, and integrative. Specifically, Michael's personal training sessions are individualized based on your needs and wants. Unless there’s an injury, you’ll rarely repeat the same movement during your 30 or 60-minute sessions. You can expect an appropriately challenging, varied workout that will improve your balance of strength and flexibility. You’ll also utilize a wide variety of equipment and body movements to achieve your goals. All movements and results are recorded and analyzed to improve the efficiency of your workouts. 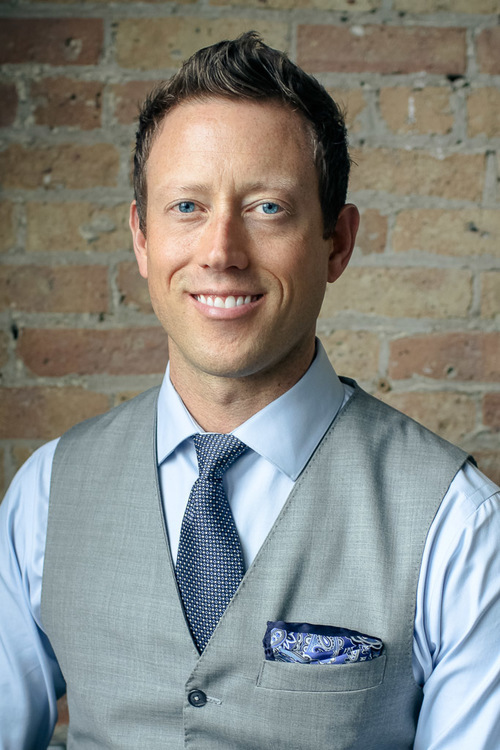 While you exercise, Michael will discuss nutrition, any challenges you face, and exercise beyond your personal training sessions in Chicago, too. Please note that this IS NOT a Cross Fit experience. Michael's programs are influenced by the philosophies of Gary Gray, Gray Cook, and Greg Roskopf and he has been hosting his personal training clients at ETC since 2009.